← Do Not Try This at Home! With many duck hunters anxiously preparing for the season we want to remind people to make sure they pack the one thing that could save their lives – their life jackets. “We want all hunters to come back to shore safely. However, the lack of flotation devices is still one of the most common law violations among waterfowl hunters, and the most common cause of duck hunter deaths.” According to Tim Smalley with the Minnesota DNR whose waterfowl season opens in just a few days. Minnesota made life jackets mandatory in 1988. Thirteen hunters have drowned in boating accidents since that time. “While 13 deaths is 13 too many, before life jackets were mandated, three to six hunters died in duck boat accidents nearly every season,” Smalley said. According to national statistics, more hunters die every year from cold water shock, hypothermia and drowning than firearms mishaps. The law requires a readily accessible U.S. Coast Guard approved life jacket for every person on duck boats. Plus, for boats 16-feet and longer, one U.S. Coast Guard approved flotation seat cushion must be on board to throw to someone in distress. Seat cushions are no longer approved as primary flotation devices, however. Everyone on the boat needs a wearable personal flotation device of the proper size and type. 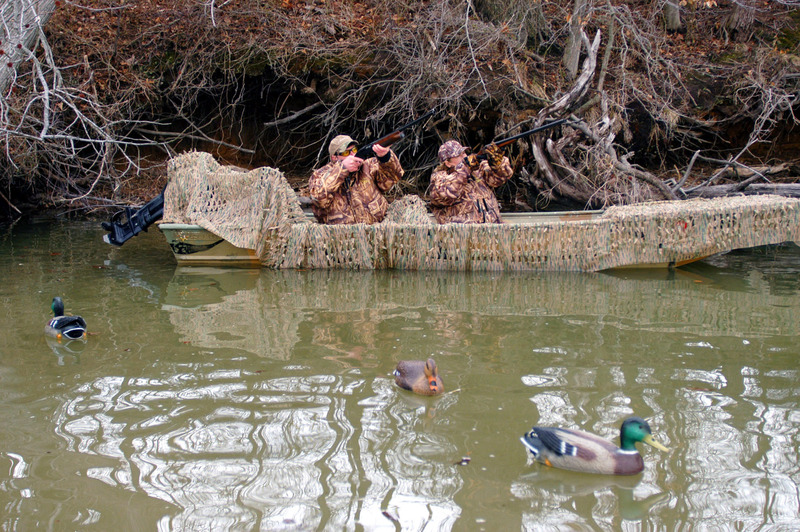 Learn how to float in waders and hip boats or don’t wear them in the boat. Share trip plans with someone, advise them to call authorities if traveling party does return on schedule. In case of capsizing or swamping, stay with the boat; even when filled with water, it will provide some flotation and is more likely to be seen by potential rescuers. The DNR has a free publication about waterfowl hunting boat safety called “Prescription for Duck Hunters.” It is available by calling the DNR Information Center at 651-296-6157 or toll-free 888-646-6367.